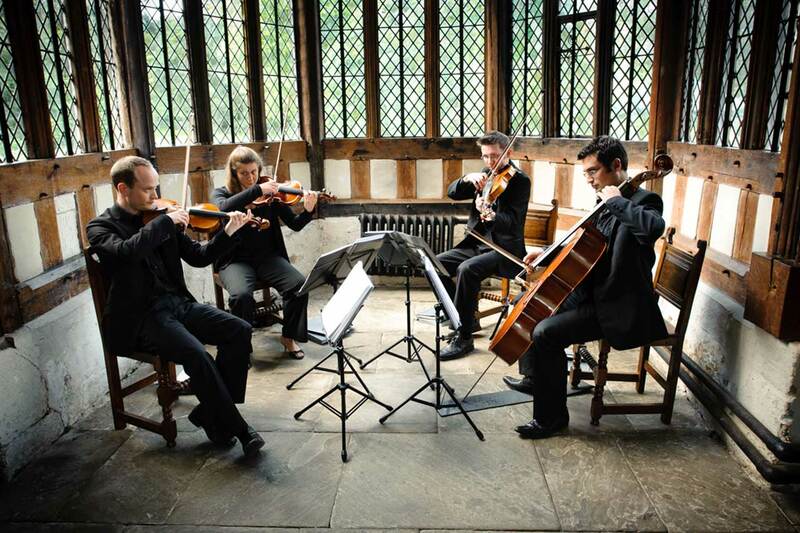 The Ristretto Strings are hired for all sorts of events from weddings through to garden parties, bespoke themed corporate events, private celebrations and anniversaries. With over 10 years experience, The Ristretto Strings set a sophisticated atmosphere, whether it be as guests enter the church or ceremony room, the signing of the register, or the entrance or exit of the happy couple. The Ristretto Strings are available as an acoustic quartet (no power required) and are ideal for outside on the lawn. They can also be hired as an electric quartet with amplification and an extensive list of Bollywood favourites for your Bollywood wedding. The groups huge repertoire selection is constantly evolving. They can take requests in advance so your favourite piece of music can be arranged specially for your wedding and performed as you walk down the aisle, or during the signing of the register.